Profile was initially established in 2001 by Jason Andrews, who knew from the outset that the company was capable of much more than simply publishing magazines. 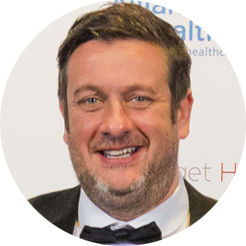 Once the company was established, Jason very quickly added different elements to the business, offering companies a chance to partner with Profile and making it a company that they could trust to produce their programme. Through the combination of his knowledge, commitment and experience, Jason was able to build relationships with clients such as the UGP, North West 200, SuperCupNI (formerly Milk Cup) and the IFA. Through time, Jason also developed a successful event management side to the business. His belief that Profile could benefit other companies saw him awarded the contract for the Ulster Chemists’ Association annual President’s Ball. Since partnering with the event, the President’s Ball has grown beyond expectations and is now run in tandem with an awards ceremony for community pharmacy. Jason now manages the company’s day-to-day operations along with fellow Director, Maureen Delaney, who merged her company with Profile in May 2013. Mother-of-three Maureen Delaney is renowned for her very strong work ethic – of which she is very proud. 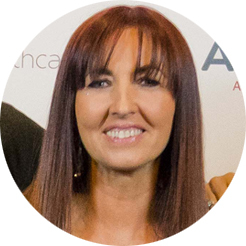 Maureen established her own successful company, Modern Mum Ltd, in 2004 and, in May 2013, in a bid to widen her publishing spectrum, she merged her company with Profile. The company currently publishes magazines for the pharmaceutical, consumer, business-to-business and sport sectors, and is also the organiser of two annual pharmacy award events. Maureen now manages the day-to-day operations of Profile along with Jason Andrews, her fellow Director. Maureen’s vast publishing experience extends across various sectors. After beginning her career in the newspaper industry in 1989, she worked across a number of areas such as entertainment, the motor industry and the business sector before being head-hunted by a local publishing house in 1995 and offered a managerial position. Over the next eight years, Maureen built on her experience and reputation, before leaving the company in 2003 to start her own business. Maureen’s communication and people skills are outstanding and – perhaps understandably – she is able to build good working relationships with anyone she comes into contact with. Shari Wilson has been with Profile for the past seven years and is responsible for all logistics and technical production. Shari works very closely with her clients to develop any job and makes sure that every aspect of every campaign or event is supremely planned and executed. Shari is famed for her ability to multi task, often pitching for, planning and organising several events simultaneously. Employing her talents across all facets of event management, Shari loves the creative buzz that surrounds all aspects of Profile events. She has a great approach to each of her clients and her work ethic is both people centred and of a very high standard. With Shari, you can rest assured that all of your company’s needs will be met. Sonia Limbachia is the newest member of the Profile team. Sonia joined Profile in March 2017 and brought with her a wealth of experience in the FMCG and retail sectors. 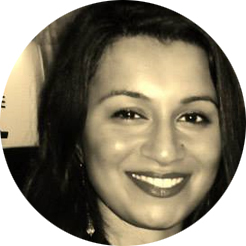 Sonia has worked in advertising sales for over thirteen years, concentrating primarily on selling across multi-platform advertising campaigns, with exposure to channel management and corporate marketing. Sonia is highly effective at developing quality and sustainable client relationships and networking. A passionate, creative and hardworking individual, she is also driven to see things through to completion. Julie Patterson works on a vast array of consumer titles for Profile. 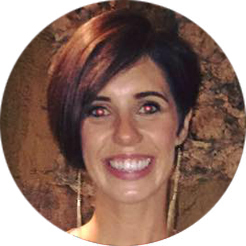 She currently manages Modern Mum – Profile’s pregnancy and parenting publication – as well as the company’s annual programmes for Ulster Grand Prix, SuperCupNI and North West 200. Julie has many years’ advertising experience across a wide variety of sectors – experience that is obviously very beneficial to Profile. She is also obsessive about administration and her own work-related organization and, as such, is a dream come true for Profile’s administration team. 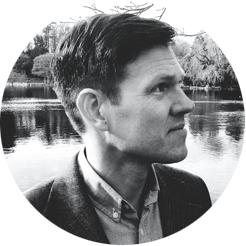 After gaining a degree in architecture and various stints as a journalist and photographer, James Elliott joined Profile in 2005 and now has 20 years’ design experience behind him. Prior to joining Profile, James worked on a wide range of publications: from interiors to music to angling. In his current role, James is responsible for creating design solutions that have a high visual impact. As such, he is required to multi-task across various design media, including advertising, magazines, posters, menus, exhibitions and awards information. To do this very efficiently, James liaises closely with clients and ensures that he is totally au fait with their needs before making design decisions. Needless to say, in a company as busy as Profile, he has to be capable of managing more than one design brief at a time, and so his organisational and time management skills are constantly being applied.